White will receive a $250,000 bonus to make up for a contract incentive he narrowly missed in 2018, Mike Reiss of ESPN.com reports. 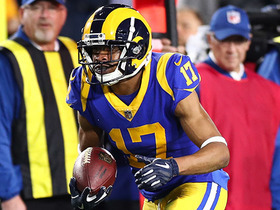 White carried twice for four yards and caught one of his four targets for five yards in Sunday's 13-3 win over the Rams in Super Bowl LIII. White carried six times for 23 yards and hauled in four of his six targets for 49 yards in Sunday's 37-31 AFC Championship Game win over the Chiefs. Analysis: Meanwhile, Sony Michel logged 29 carries and Rex Burkhead ran 12 times, but as usual White -- who caught a staggering 15 passes against the Chargers in the divisional round of the playoffs -- remained involved in New England's passing game Sunday. That doesn't figure to change when the Patriots take on the Rams in Super Bowl LIII. White didn't receive a single carry in Sunday's 41-28 divisional- round win over the Chargers, but he caught an NFL postseason record-tying 15 passes on 17 targets for 97 yards. White carried four times for 30 yards while adding four catches on five targets for 39 yards and a TD in Sunday's 38-3 win over the Jets. Analysis: White thus finishes up the 2018 regular season with 94 carries for 425 yards and five TDs on the ground and 87 catches on 123 targets for 751 yards and seven receiving scores. 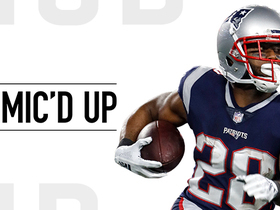 All that adds up to a PPR-friendly campaign for the 26-year-old back, who is under contract with the Patriots through the 2020 season. Looking ahead, the change-of-pace ace is line to remain a key cog in the Patriots offense when the team returns to action Jan. 13 in the divisional round of the AFC playoffs. White rushed eight times for 41 yards and a touchdown while adding two catches for 13 yards on four targets in Sunday's 24-12 win over Buffalo. 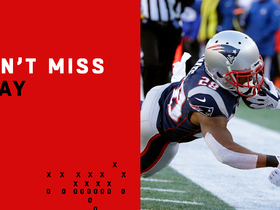 Analysis: White made it 14-0 with a 27-yard rushing score in the second quarter, but New England's best receiving back didn't get to show off that skill much with the Patriots playing from ahead the whole time. He ranked third on the team in carries behind Sony Michel (18) and Rex Burkhead (13), so don't blindly count on White for more production against the Jets in Week 17 assuming a similar game flow. White was on the field for 25 of the Patriots' 62 snaps on offense in Sunday's 17-10 loss to the Steelers. Analysis: In the process, White logged two carries for 12 yards and caught five of his seven targets for 25 yards. With Sony Michel healthy and serving as the Patriots' lead back, White's involvement in the team's passing game keys his fantasy utility. He'll continue to factor in on that front, but the return of the versatile Rex Burkhead gives White added competition for touches in the New England backfield. White rushed four times for 13 yards and brought in two of four targets for 15 yards in the Patriots' 34-33 loss to the Dolphins on Sunday. White carried six times for 26 yards and caught seven of his nine targets for an additional 92 yards during Sunday's 24-10 win over the Vikings. White logged nine carries for a season-high 73 yards and caught one of five targets for five yards in Sunday's 27-13 win over the Jets. White lost five yards on his lone carry and caught five of eight targets for 31 yards in Sunday's 34-10 loss to Tennessee. Analysis: The Titans did a great job of bottling up White out of the backfield in what surprisingly turned into a routine victory for the home team. As the receiving back on a team that loves to throw to targets besides wide receivers, White's likely to bounce back after the Week 11 bye. He has five-plus receptions in each of the past seven games. 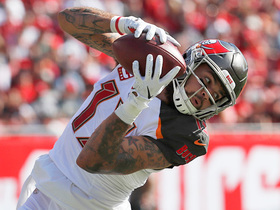 White (leg/knee) ran the ball 12 times for 31 yards and two touchdowns, adding 72 receiving yards on six catches (seven targets) in Sunday's 31-17 win over the Packers. White (leg/knee) returned to Sunday's game against Green Bay in the third quarter. Analysis: White limped off the field late in the second quarter, entering halftime with three catches for 26 yards and six carries for 27 yards and a touchdown. His brief absence led to a productive spurt for Cordarrelle Patterson, who carried the ball on four consecutive snaps for 40 yards and a touchdown. White limped off the field late in the second quarter of Sunday's game against the Packers. Analysis: White was replaced by Cordarrelle Patterson, who immediately took four carries for 40 yards and a touchdown on four consecutive snaps. Patterson and Kenjon Barner will split work in the backfield if White doesn't return after halftime. 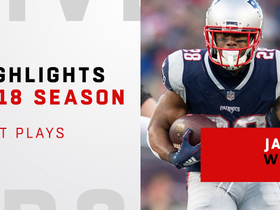 Watch New England Patriots running back James White's best plays from his 2018 season. 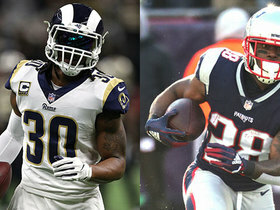 NFL Network's Cynthia Frelund reveals her game projections for New England Patriots running back James White. 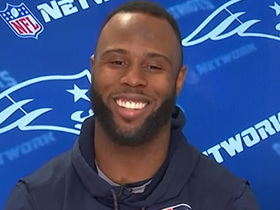 New England Patriots running back James White joins "NFL Total Access" to discuss his success and future with the Patriots. 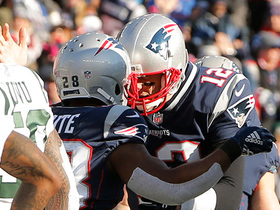 New England Patriots running back James White bursts by New York Jets' defenders on 17-yard catch-and-run touchdown. New England Patriots running back James White takes off for a 27-yard rushing touchdown. The "NFL Fantasy Live" crew answer submitted questions regarding several fantasy lineup decisions. 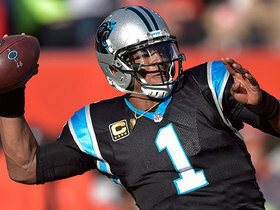 NFL Network's Michael Fabiano reveals five troubling fantasy football trends as the season winds to an end. 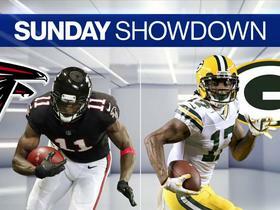 The "NFL Fantasy Live" crew break down several Sunday matchups and what player can outperform the other in fantasy. 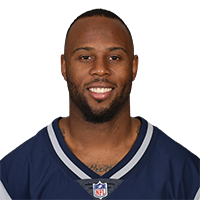 New England Patriots running back James White is mic'd up against the Minnesota Vikings in Week 13 of the 2018 NFL season.